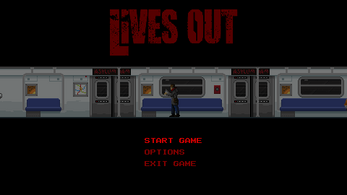 Created by two friends during the Asylum Jam 2015 but completed after the 48 hours deadline, "Lives Out" is a proof of concept for a side-scrolling story-telling game featuring retro-pixels, with emphasis on ambience and scene setting. We recommend to play it in a dark room with headphones. Feel free to leave us a message, we'd love to know if in your opinion this sort of game and story should be continued. Greetings friends ! During the past few months, we've watched a lot of videos of some of you playing Lives Out and sharing your thoughts live while going through the long tunnel. It helped us pinpoint a few obvious caveats that, without the constraint of time in a game jam, we have now fixed for good. We've been working hard on a "vertical slice" of the game ie a very small area filled with lots of stuff to test all the ideas that we didn't have the time to include in the first demo. All in all we're not done yet with this, so stay tuned ! Version 0.1.3 is available ! It fixes random crashes on Windows 7 and control issues when maintaining a direction and still attempting to trigger an action. Make sure to download it if you got your hands on one of the previous versions. Big thanks to all of you who played Lives Out, shared it, and reported bugs to us. We are currently running more tests and working on a new patch. In the meantime, we're also working on a true pilot episode, to expand the limited gameplay offered by this premise and give it more depth. In just 72 hours we just were not able to put everything we wanted into the game and we want to see it through. 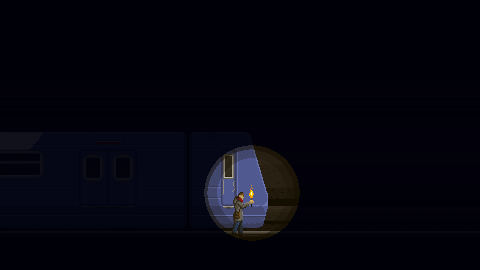 More interactions with the player surroundings, items to find and collect, scattered pieces of intel, puzzles to solve, scary encounters, what say you? And yes, a pilot episode, meaning there could be more. 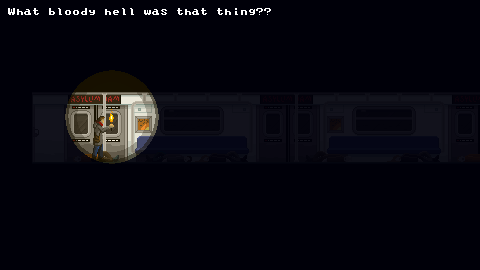 Don't you want to know what happens when our character reaches the station?